Do you find yourself unsure of how to use the university’s official logos? Are you interested in ordering some merchandise for your department or office, but aren’t sure where to look? 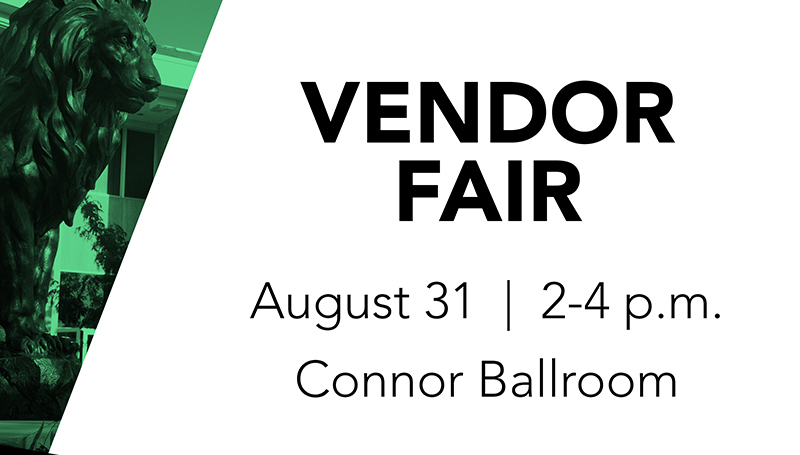 Then come to the first ever Missouri Southern Vendor Fair, from 2-4 pm Thursday, Aug. 31, in Connor Ballroom! Learn the ins and outs of proper logo usage, and WHY it’s important. Meet some of our licensed vendors and see their latest merchandise and apparel! This would also be a great opportunity for your student workers to learn more about branding and the ordering process. Refreshments will be provided.